TOKYO, July 11, 2018 - (ACN Newswire) - TANAKA Holdings Co. Ltd. announces that TANAKA Kikinzoku Kogyo K.K., the manufacturing business of the TANAKA Precious Metals Group, will establish a new Fuel Cell Catalyst Development Center, in Kanagawa Prefecture, to develop and manufacture electrode catalysts used in fuel cells. TANAKA Kikinzoku Kogyo already boasts a worldleading share of the fuel cell catalyst market, and with the expanded center, production capacity will increase seven-fold. 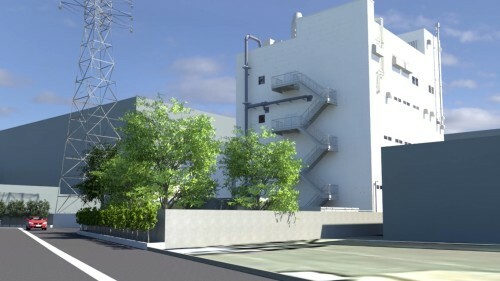 The new building is located adjacent to the existing FC Catalyst Development Center at TANAKA Kikinzoku Kogyo's Shonan Plant. This new building has approximately 3,000 square meters. This development and production site expansion has been combined with the construction of a new shipping and warehouse facility. TANAKA's added production capacity will increase by seven times the current production capacity. Therefore, TANAKA will be able to provide stable supplies in response to the demand for precious metal electrode catalysts which has risen in recent years with the expansion of the fuel cell markets and the ongoing development of a hydrogen-based society. The new buildings are scheduled for completion on July 18, and full-scale operations will commence in January 2019. China has recently announced it support for developing hydrogen energy and fuel cell vehicles as strategic industries, while the announcement by the city of Shanghai announcement of a subsidy policy plan for purchasing fuel cell vehicles and the establishment of R&D facilities. The global move away from diesel vehicles is accelerating in Erope, and there are developments in new transportation areas including fuel cell trains, marine, and unmanned vehicles that run on hydrogen. As a result, responses to the growing worldwide demand for fuel cell electrode catalysts are needed. TANAKA, as the leading company for precious metal fuel cell catalysts for five decades, has decided to achieve stable supplies of fuel cell electrode catalysts, while focusing on research and development. TANAKA will contribute to the widespread adoption of fuel cells and the development of a hydrogen-based society. The FC Catalyst Development Center at the TANAKA Kikinzoku Kogyo Shonan Plant currently develops and manufactures electrode catalysts for polymer electrolyte membrane fuel cells (PEFC). 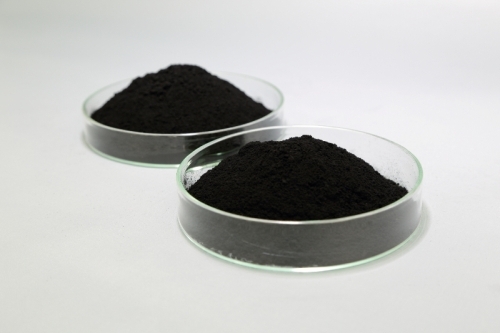 PEFCs are used in fuel cell vehicles (FCV), ENE-FARM household fuel cells, and other applications, but their use is expected to expand in future to commercial vehicles such as FC buses and industrial machinery including FC forklifts. PEFCs are compact, lightweight and high energy, with a new, environment-friendly technology that uses a chemical reaction with only hydrogen and oxygen. TANAKA is combining its conventional catalyst technologies with new electrochemical technologies it has accumulated to develop highly active PEFC platinum catalysts for cathode (air electrode) and platinum alloy catalysts with superior carbon monoxide (CO) tolerance characteristics for anode (fuel electrode). As precious metals specialists, all Group companies within and outside Japan work together with unified cooperation between manufacturing, sales, and technological aspects to offer products and services. Besides, to make further progress in globalization, TANAKA Kikinzoku Kogyo welcomed Metalor Technologies International SA as a member of the Group in 2016.